The Philippines got a total of 14 nominations at the 2013 New York Festivals TV & Film Awards. ABS-CBN has eight entries, GMA-7 has three, TV5 has one, while UNITEL has two entries in the 56th edition of this annual event. The International Television & Film Awards Show will take place in Las Vegas on April 9, 2013. 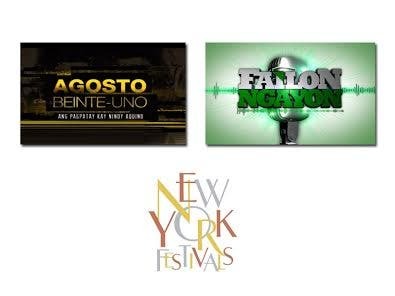 From the long list of finalists from 50 broadcast giants all over the world, Philippines has received 14 nominations in the New York Festivals World’s Best Television & Films 2013. Environment & Ecology Oras Na (It’s Time) GMA Network. Inc. Sales Rogue Cover Unitel Productions, Inc.
Short Films A Life in a Day Unitel Productions, Inc. Note: The actress who starred in an episode of Maalaala Mo Kaya and received a Best Actress nomination in this year’s New York Festivals is yet to be named. Guess who?